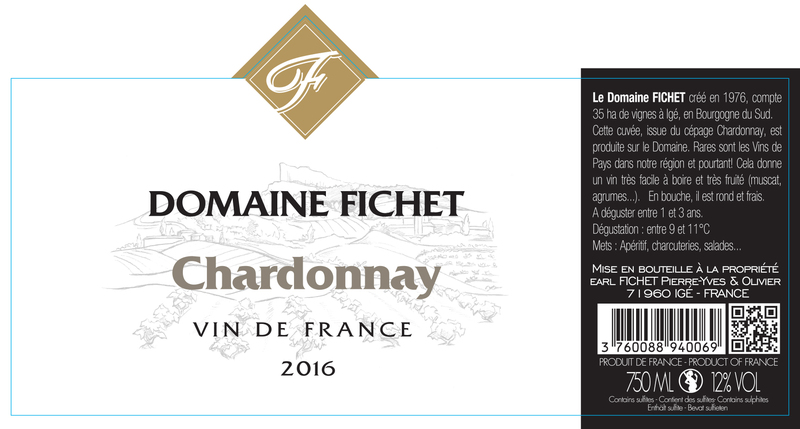 Cuvée Vin de France "Chardonnay"
Sustainable viticulture. Mechanical harvesting. Use of sorting tables, Temperature-controlled fermentation in stainless steel vats, Pressing, Traditional vinification, Destemming. Golden yellow colour, golden highlights.